Heroes of the Storm (HotS) is Blizzard Entertainment’s quiet achiever in the esports circuit with significant expansions planned for 2018. While not as popular in the mainstream consciousness as Dota 2 or League of Legends, it has developed an active professional gaming scene and now has multiple premier and major tournaments held in China, North America and South Korea – and esports betting sites have started to pay attention and offer regular betting markets. Interested in learning more about the Heroes of the Storm esports space, where to watch matches live or how to place a bet on your favourite teams? This esports guide goes into detail about what you need to know – gameplay, maps, objectives, leagues, schedule – before watching or wagering on HoTS for real money online or on your mobile device. Most major international esports betting sites offer betting markets on the biggest Heroes of the Storm esports tournaments. HoTS’s competitive scene is still growing in popularity, so the demand is not there yet for online sportsbooks to take bets on tournaments outside of the official league run by Blizzard, the Heroes of the Storm Global Championship Circuit (HGC). Thankfully, many of our favourites sites actively take moneyline/match winner wagers on HGC majors and premiers all-year round. Arcanebet.com: Focused mostly on esports, this sportsbook is obviously run by gamers who know what fans want to bet on, with great moneyline and prop markets on all HGC regional pro leagues and finals. You can claim an exclusive deposit code bonus on us just by following our links to sign up for an account. Make sure to use the special promo code, ‘esportbet’ before you make a deposit and start betting. BetOnline.ag: North Americans don’t have an easy time when it comes to online sports betting but thankfully BetOnline fills that role perfectly, including for US esports fans. It has markets on all major games, including Heroes of the Storm, but sometimes can be late on posting odds for HGC events compared to others on this list. They make up for the tardiness with some lucrative Bitcoin and standard welcome bonuses you can claim upon sign-up to maximise your initial account balance and put substantial bonus money towards your esports betting on the site. Pinnacle: One of the most popular online sportsbooks when it comes to esports betting due to its special games hub and the fact that the guys who run it actually understand and appreciate the professional gaming circuit as a sport – with early markets and low mark-up on the odds. You can bet on Heroes of the Storm and tournaments for all other Blizzard properties – Overwatch, StarCraft, Warcraft – at Pinnacle. 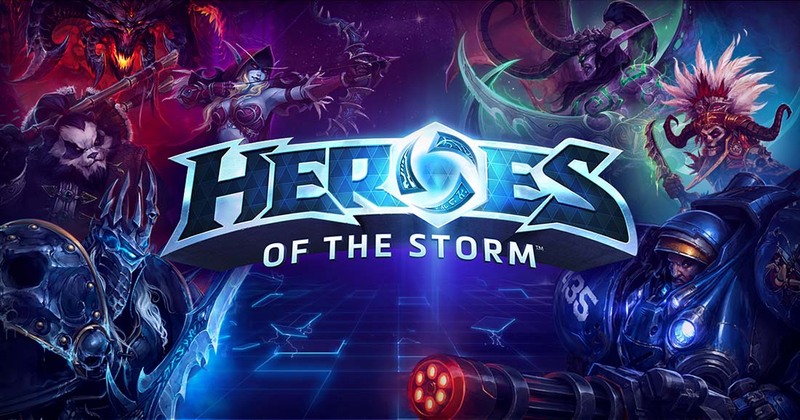 Heroes of the Storm is like your dream all-stars hero brawler featuring the most popular Blizzard characters. Heroes of the Storm is a free-to-play multiplayer online battle arena game (MOBA) centered around heroes from creator Blizzard Entertainment’s many other popular game franchises – Diablo, Overwatch, StarCraft, Warcraft – who are brought together by an unknown force to the Nexus, the gateway to 14 battlegrounds (maps) each game takes place in. Although the main goal in Heroes of the Storm is to destroy the enemy base, also called Core, completing unique objectives along the way help teams in their ultimate goal of destruction. Goals range from capturing tributes to escorting a payload to controlling shrines. Maps are designed to revolve around and encourage completion of these objectives. Each battleground or map teams are placed upon have different layouts and unique features. The basic commonalities in structure include two bases at the far left and right of the map for the blue and red team, respectively. Running from the Core are three pathways, called ‘lanes’ which run the length of the battleground and connect both bases. Lanes are where heroes battle for dominance or make their stand, and where NPC (Non Playable Characters) in the form of minions spawn to aid their respective teams. There are tons of structures within the lanes, such as mercenary camps, forts and watchtowers which prevent teams from waltzing through to the enemy base. Structures effectively act as progression markers, as when a team destroys the majority of the fort or surrounding defenses, it usually means the final battle for the Core is imminent. 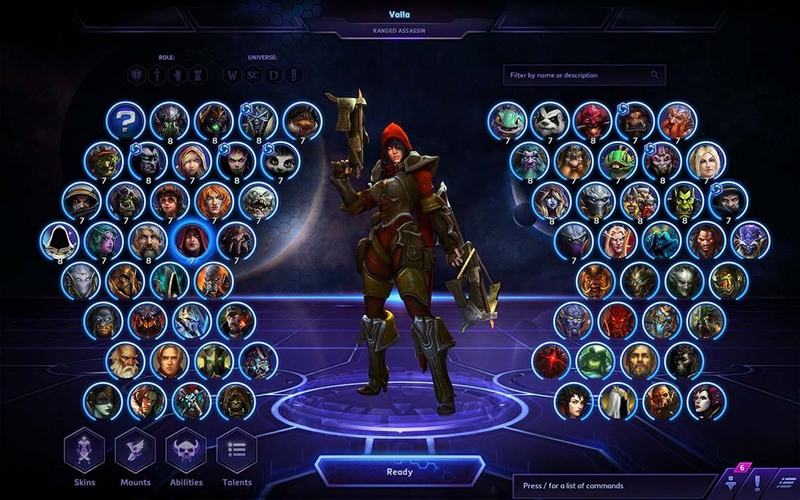 How is HoTS different to Dota 2 or other MOBAs? HoTS’s freemium model has fostered a steady increase in player-base since its launch over two years ago, with around a million active players cited by Blizzard and 660,000 viewers on live-streaming sites like Twitch. It’s definitely not as big as other Blizzard esports, but it’s certainly growing. With over US $1 million in prize-money and sold out tickets for its Anaheim Convention Center finals, Blizzard goes all out in production values. Heroes of the Storm has an official esports league, as well as several other international tournament series produced by third-party organizers with modest prize-pools. The main esports circuit for Heroes of the Storm is the Heroes of the Storm Global Championship Circuit (HGC), organized and run by series developer Blizzard. It features the best teams from Australia/New Zealand, China, Europe, Korea, Latin America, North America, Southeast Asia, and Taiwan in a seasonal format (Spring, Summer and Fall) and the best performing teams eventually compete on the world stage in the end-of-year Global Championship event. With US $30,000+ prize-pools for regional qualifiers and finals and over $1 million prize-money offered at the 2017 Heroes of the Storm Global Championship Grand Finals, the HGC is definitely not a side project for Blizzard and we expect it to grow significantly this year in both popularity and investment. 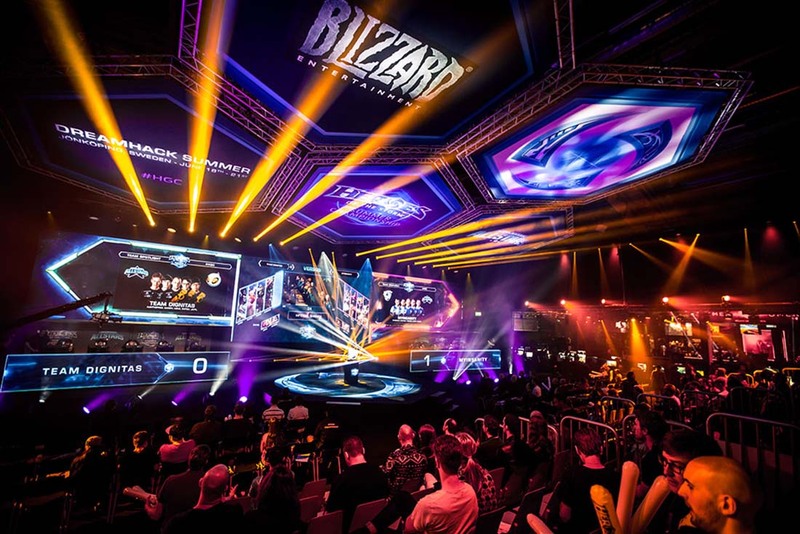 Outside of the HGC, there are a number of other competitions and tournaments for HoTS, including Bloodlust, Dreamhack, King of the Storm and Gold Series Heroes League. These events are mostly in regions where HoTS is more popular, such as Europe and China, and offer smaller amounts of prize-money and prestige. The 2018 Heroes of the Storm esports season is in full swing, with concrete dates for all HGC events courtesy of Blizzard. The Gold Series Heroes League also have dates for this year’s Spring Season – below we have included a schedule of every upcoming tournament and their prize-pools for easy reference. Bookmark this page to find out when new tournaments are announced. Where can I watch Heroes of the Storm esports? Despite hosting tournaments and leagues in multiple regions, the majority of Heroes of the Storm esports tournaments are run and streamed online, meaning there is no live audience or special venue for teams and fans to travel to for the regular season. The finals, however, are always played live at Anaheim Convention Center in California, USA and broadcast by Blizzard themselves. Also, some partners in China and South Korea host their equivalent regional leagues in live venues, mostly owing to the higher popularity of HoTS in those regions. All tournaments, whether online or live, are streamed in real-time to Twitch and YouTube so all fans can tune into the latest competitive HoTS action for free. We recommend watching the official livestreams over at Blizzard’s HoTS esports hub and the main HoTS esports channel on Twitch. Want to bet on the HGC while you watch? Find the best markets at esports betting sites listed in the table above.